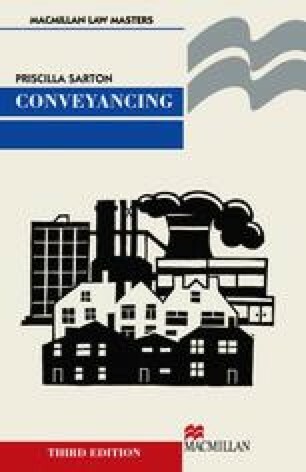 In domestic conveyancing, the seller and purchaser are likely to be part of a chain. X’s purchase depends on his sale as it is the proceeds from the sale of his present house that will be helping to finance the purchase of his new house. The chain presents problems to the conveyancer.